Audrey Rose is a singer/songwriter performing primarily in Massachusetts. Her material comes from life experiences in relationships, feelings and overall happenings she encounters. Songwriting began for Audrey one mothers day when her mom said "I'd love for you to come visit but I don't want to be an obligation". Audrey's response to this was a poem to her mom about how she is not an obligation and in fact quite the opposite in so many ways. After looking at the poetry that came from the desire to creatively share her message, she turned it in to a song. Before that time she had performed cover songs in various school shows earlier in life but felt it was nearly impossible to write her own music. 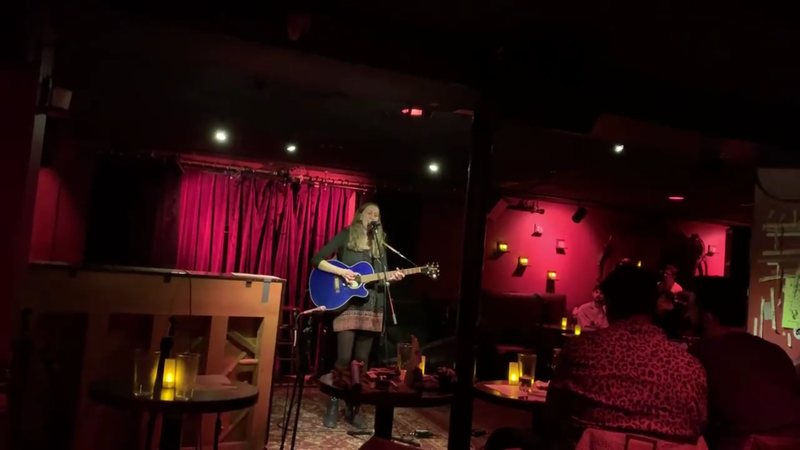 She found her way to an open mic night with that tune she wrote about her mom and was astonished by the confidence she saw in the people trying out new material they had written. Some were very casual about any mistakes they made in the moment and this inspired her to be less critical of her own process and really appreciate the beauty of anyone who gets up to share something from their heart. Since then she has written many songs, played shows throughout New England and met wonderful people in the music community. She studied at the Jeannette Neill Dance studio and The Dance Complex in Boston before moving to New York where she would continue studying dance at Steps on Broadway and Broadway Dance Center in Jazz, Lyrical Jazz and Theater dance. She also paints paintings and draws things. She has a calling towards goodness, authenticity and is always looking for others who think those things are important too.